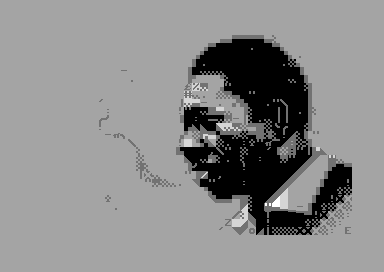 Welcome to the PETSCII page, where you can find out everything you ever wanted to know about the PETSCII editor ingeniously called PETSCII. 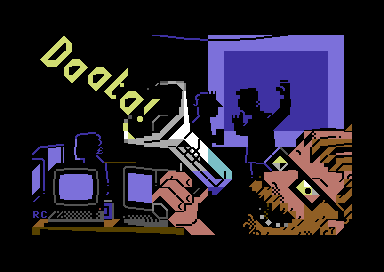 The tool lets you create character-based screens and animations for the Commodore 64, VIC-20, PET and Plus/4 computers. Enjoy! 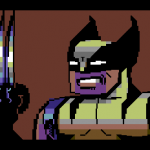 1.3.2019: Source-only: A tiny fix to SEQ output with char 95. 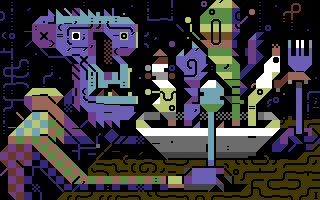 2.2.2019: A collection of PETSCII art by Shine. 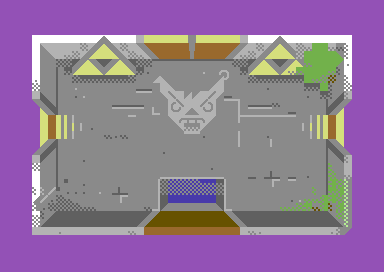 27.12.2018: As a belated Xmas gift Dr. TerrorZ brings you Digiloi, an action game in full PETSCII! 20.11.2018: Awakening Computer – Alien Opening Scene, an animation released today. 10.11.2018: A couple of new works in the gallery again, thanks to iLKke. And discovered a new demo too, Alien Trailer by Hokuto Force! 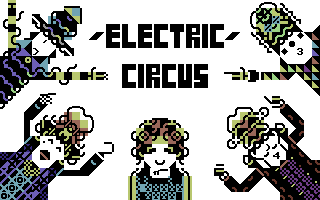 6.11.2018: The PETSCII works from X’2018 are online. In addition, some new works in the gallery here by Redcrab (and some old pix by me, Manu & Dr. TerrorZ replaced by newer ones). 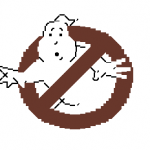 5.11.2018: Source-only: Fixed a long-standing bug with frame selection when there is nonstandard x/y size for the image. 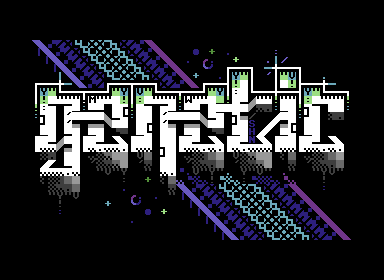 30.9.2018: PETSCII disk cover competition is coming to an end. Again nice to see how people have put my little tool into use. 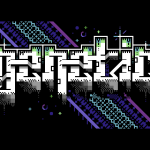 17.9.2018: Various PETSCII works from Psykoz 2018. 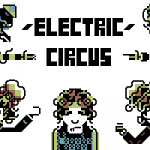 25.8.2018: Some PETSCII works were released at the Vammala Party. 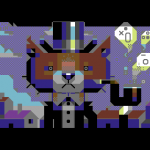 Oh, and don’t forget that there’s going to be a PETSCII competition at X 2018 again. 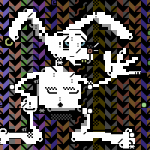 25.8.2018: In case you can’t tolerate Java, PETSCII doesn’t work for you, or just wanna give another editor a go, take a look at Petmate, which seems to be under constant development. 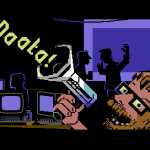 3.11.2017: The editor and me can be seen on the brand new YLE C-64 demoscene documentary (video at the bottom). Use the GUI buttons for saving your work. The native file format is a C array, which is why the file extension should be “.c”. In addition, the automatic backup will create a file called _backup_.c in the program directory every two minutes or so. The Ref button will load a reference image (png/jpg/gif) that can be overlaid with the characters. On Macs use the Command key instead of Ctrl. 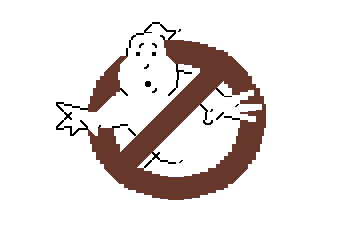 ZOOM – editor pixel size. 2 by default. 1 is the minimum and anything beyond 3 might be rather unusable. 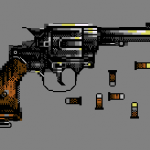 FRAMERATE – update rate. 60 fps by default. Decrement for less CPU use, increment for better responsiveness. 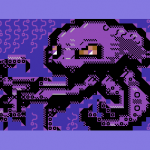 MACHINE – one of C64, VIC20, PET, PETHI, PLUS4. Leave empty to get the normal selector at start. ASPECT – aspect ratio on the machines where it counts. 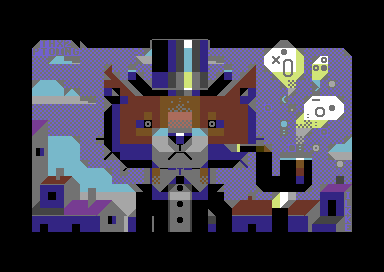 One of PAL/NTSC/SQUARE. If not set, default to PAL. PATH – default path for your images. Give a full path like /home/marq/Pictures. No quotation marks. 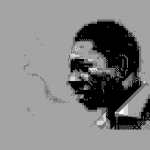 OFFSET – 0 or 1 to show canvas memory offsets. 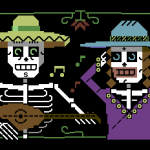 XSIZE and YSIZE – set a nonstandard canvas size. UNDODEPTH – Increase or decrease the amount of undo steps, 32 by default. Assign a new value like this: ZOOM=2. The example preference file provided in the package comes with Unix newlines. Try to fare. There are some simple command line parameters as well. The parameters override prefs.txt. 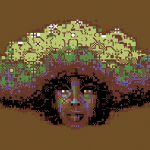 The selection can be used in several ways: it can be rotated, flipped, or even used for coloring regions (try pressing shift). Rotation, flipping, inverting etc. affect the character under the cursor when shift is pressed. 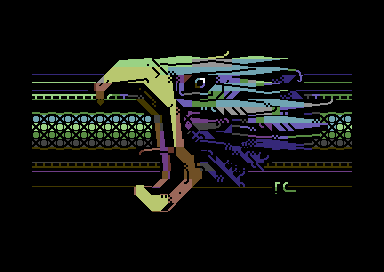 The image -> PETSCII conversion depends on the selected background color, so experiment with multiple options. Three grayscale levels in the source image with bg color set as middle gray seems to work pretty well for photos. 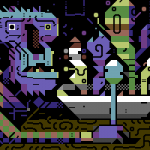 You can reconvert existing images back to PETSCII as long as the palette is close enough and the dimensions match (320×200 and no borders for C64). 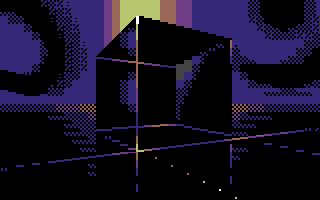 PETSCII uses these C64 color values by Pepto, so do the same when working with external programs to ensure a faithful conversion. 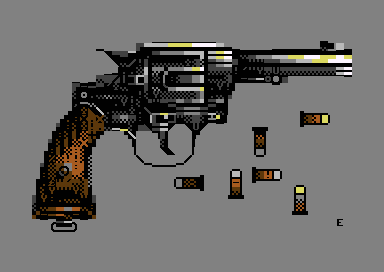 See m_c64.pde, m_vic20.pde and m_plus4.pde for the RGB values. 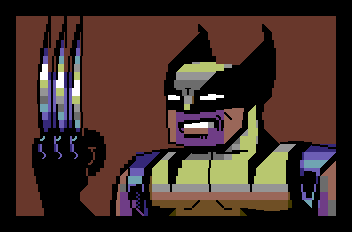 Select a pen color and ctrl-click another color on the selector to remap all the chars of the same color. If there’s a selection, only it will be affected. Background and border colors can be different for each frame. 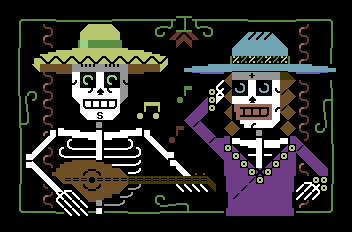 Even if you’re not making an animation, a second frame can be handy as temporary storage. You can delete chars from a selection by clicking the char selector. 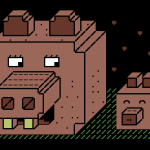 It’ll leave you holes that don’t affect drawing – useful for example for cutting out “sprites”. Using a slow computer? Disable the crosshair if it’s on (c) and info display (i), plus set ZOOM to 1 and FRAMERATE to 30 using prefs.txt. 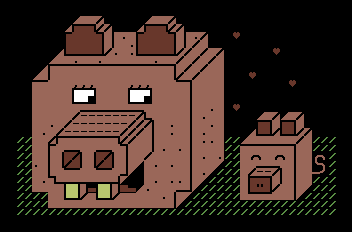 Lower framerates are possible, of course, but not so nice for drawing. There are only a few flicker colors that are steady in large quantities. Don’t use a flicker color for the border or even the bg, small details work better. Trying to create a reliable crossplatform application in Java is tricky business these days. 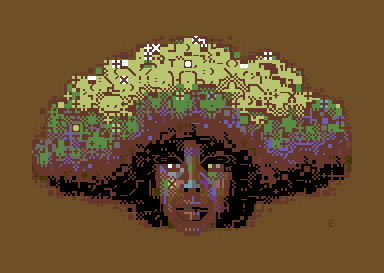 If all else fails I recommend downloading the source-only version and running it straight from Processing (2.x only for now). “Blah blah is damaged and can’t be opened”. This is because of Apple’s so-called security that won’t let you run other apps than those downloaded from their store. To make a long story short: go to System Preferences – Security & Privacy and allow apps downloaded from anywhere to run. OS X users: Java 7 or 8 is required these days, but unfortunately they are a lot slower than the Apple-optimized version 6 used to be. 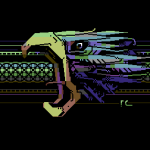 If the normal speedup tricks don’t do it for you, you might even consider installing Apple’s Java 6 package and running PETSCII using an older Processing version (2.0). See here for more info. Middle mouse button might not work on all Macs. Use the § key instead to pick a character from the canvas, if your keyboard has one. 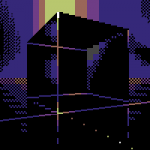 Border color can be selected by pressing the dot key. With all these OS X woes (and there’s probably more to come) you migth even consider running the editor inside a Linux/Windows virtual machine. If it doesn’t work for you for whatever reason or you are in need of missing features like editable characters or alternative text modes, try Krissz’s online editor. 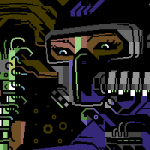 The compiled binaries + stable source are available right here: http://www.kameli.net/~marq/kode/petscii.zip. Note that you need to have the Java Runtime Environment installed on your system. 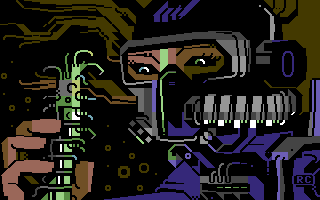 WIP source-only release for the adventurous: http://www.kameli.net/~marq/kode/petscii-beta.zip or svn://kameli.net/marq/petscii. The code can be used according to the terms of the liberal WTFPL license. Bug reports can be sent to marq [at] iki [dot] fi. Marq: Whom Are You Going to Call? 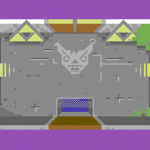 iLKke: The Game Is Apaw! Additions and corrections most welcome, as usual. 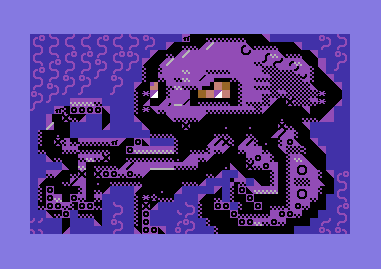 Thanks to Dr. TerrorZ for his artworks, numerous comments and remap tables, Viznut for help with the VIC-20, Six for the SEQ conversion example, BassCadet for bug reports and Rexbeng, Man, Shine, Electric, Archmage, Hammerfist, Awsm, Redcrab and iLKke for gallery images.